Stuart Farmer is almost lost in the thick elaeagnus growth. We have it on good authority that he did make it out alive. Today a hearty bunch of about 30 people showed up in the bush behind the YHA for the first Weedbusting Working Bee of 2015. 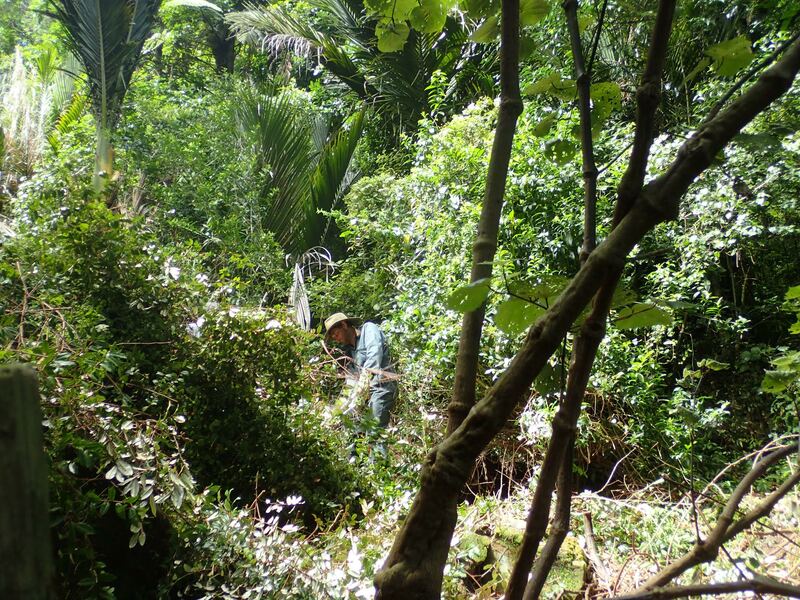 We targeted an enormous patch of elaeagnus that is in the process of smothering the beautiful native forest that surrounds the base of Maungaruawahine. After several hours of chainsawing and chopping, the blanket of elaeagnus has been significantly knocked back. In the process we have discovered wonderful trees and rock formations and the sun is hitting the forest floor for the first time in years. Speaking of hitting the forest floor, some of us lost our footing on the uneven terrain but luckily only one of us had an idling chainsaw in our hands at the time. This kind of weedbusting is not really for the fainthearted. Afterwards we gathered on a nearby deck for hot sausages (cooked by those who slept in…) and cold beer. 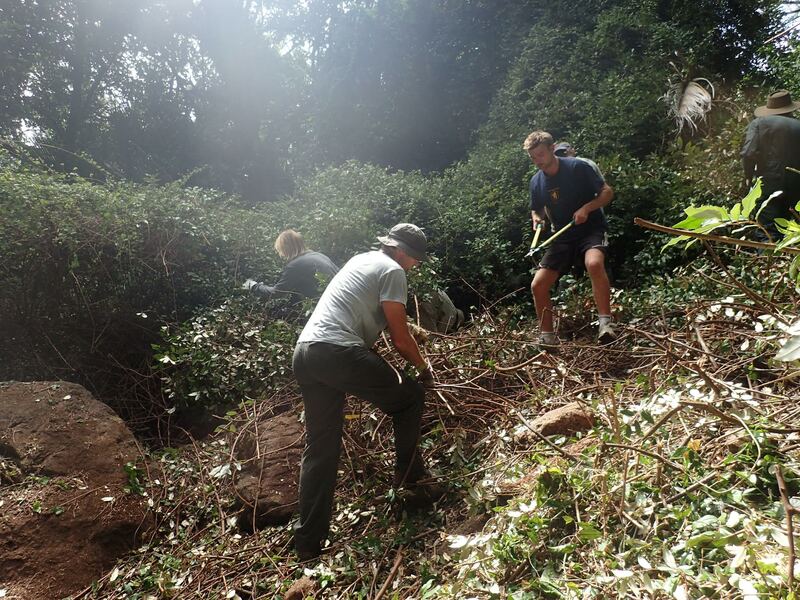 Chris Woudenberg spearheaded the working bee and has a personal mission to clear the elaeagnus from the forest. 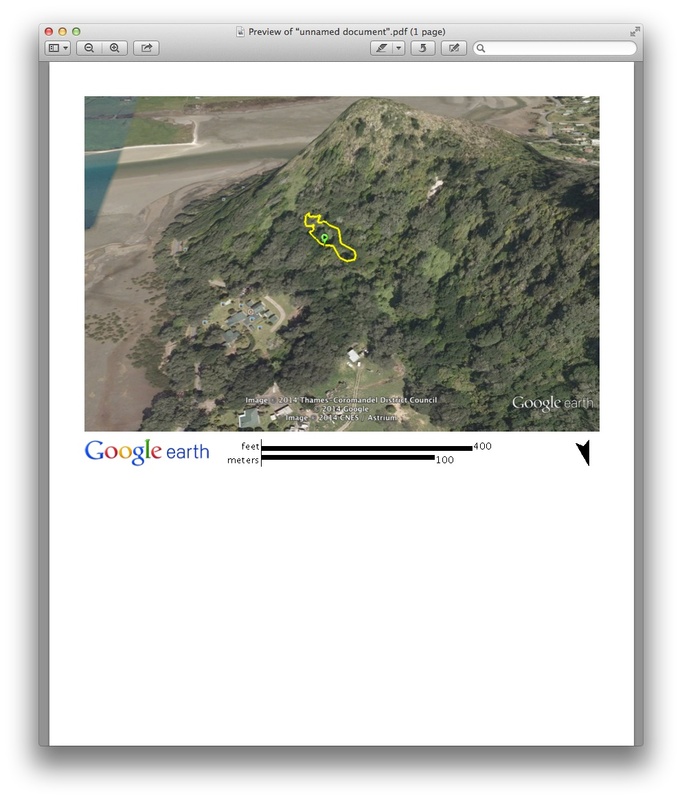 He has used a GPS unit to calculate the area of the infestation at an alarming 5000m2. 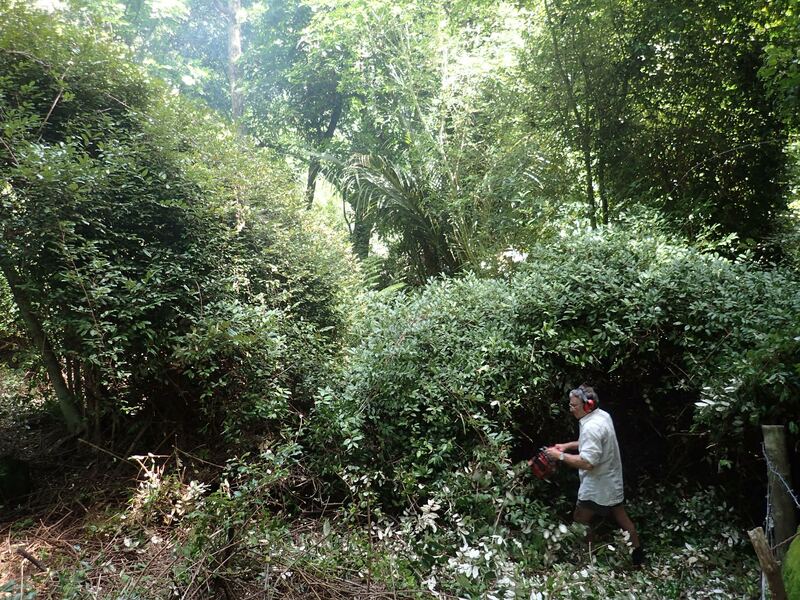 This a huge challenge but with a concerted community effort we will get rid of the elaeagnus. Today’s working bee cleared 600m2, no mean feat when you realise how tough and thorny the elaeagnus is. This is what we cleared today! 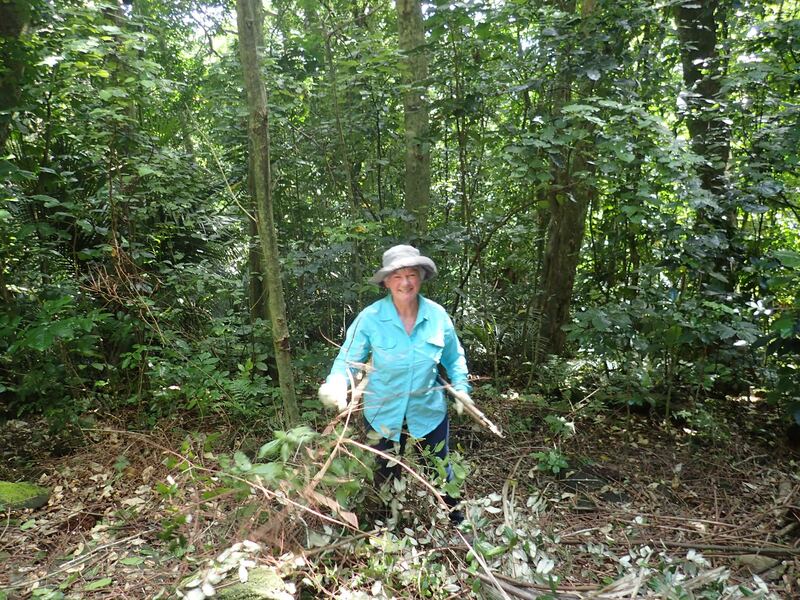 A much smaller working bee had cleared 100m2 at Easter 2014. We are gradually rescuing a wonderful area in the forest, it’s exciting to see the trees liberated from the weed and to imagine all the seedlings that can now take root. We will be holding regular working bees throughout the year, keep an eye out for notices. We can guarantee good company, a free workout and a cheerful gathering at the end! 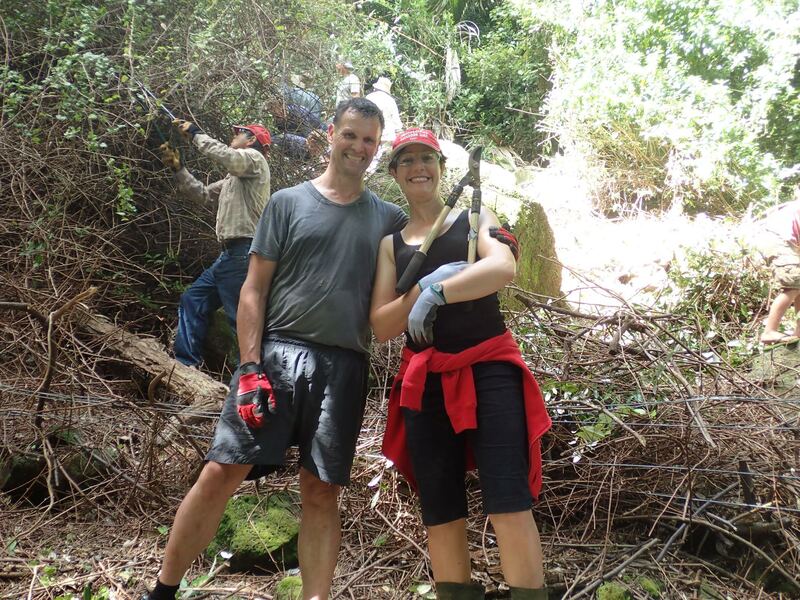 Thank you to everyone who gave up a few hours of their holiday time to help us in the forest. 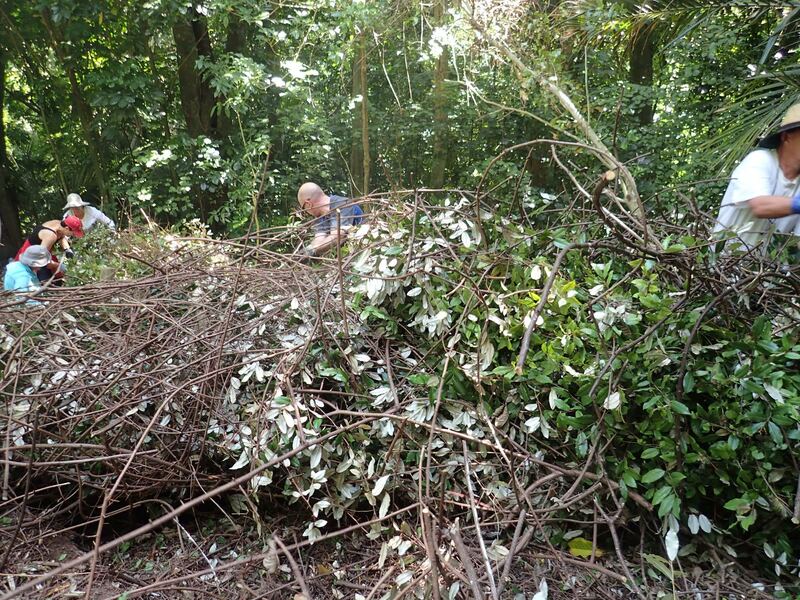 The piles of elaeagnus needed to be reduced with loppers to enable them to mulch down into the forest floor. 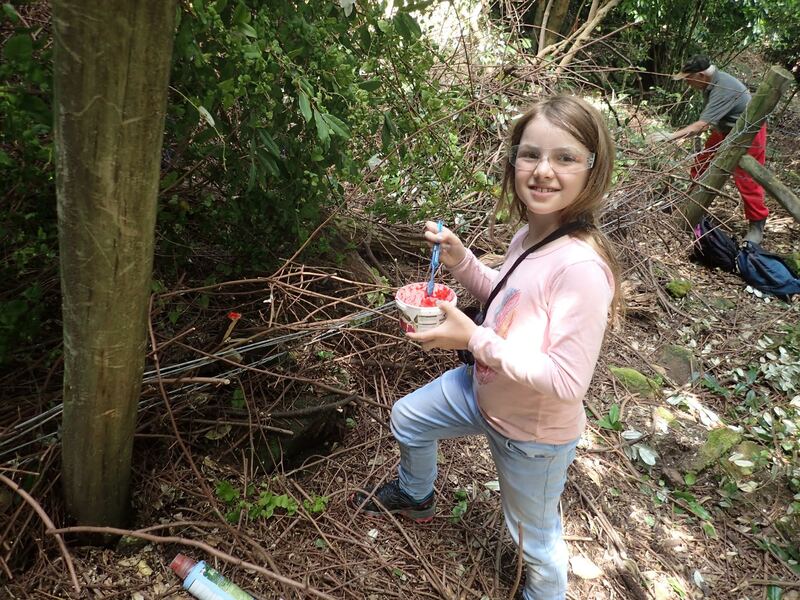 Madeleine busies herself with the Vigilant paste that stops the sawn trunks resprouting. Alan Glover is temporarily dwarfed by the elaeagnus, handy work with a chainsaw sorted that out. Chris Woudenberg and Victoria Spence amidst the activity. 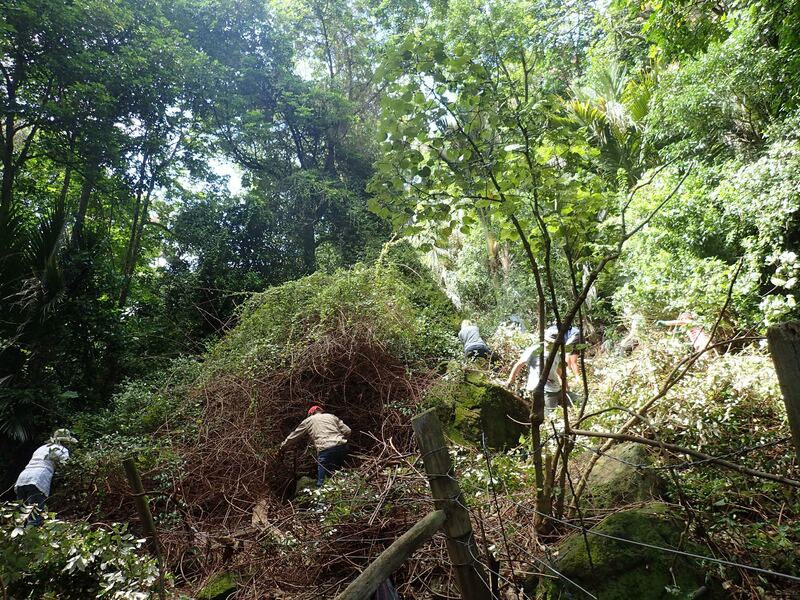 The workers swarm over the hillside, the difference that we made was amazing. It was fantastic to see the forest floor emerge from the tangle of weeds. Louise Furey tackles one of the piles of cuttings.